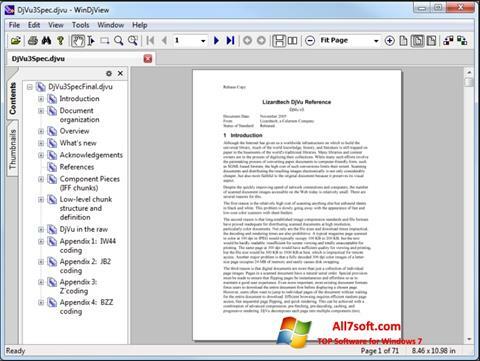 WinDjView for Windows 7 - universal tool designed to work, view and print documents in DjVu format. The main principle of the program is continuous viewing, with advanced features for saving, compressing, instant support for high-quality images and their integration under the displayed fields. The application supports annotations, references, dictionaries. Flexible functions of scaling, searching and convenient document navigation allow to simplify the workflow process significantly. You can free download WinDjView official latest version for Windows 7 in English.